Can someone recommend a good dinghy depth finder. Don't care it it's portable or not be need to be battery operated and accurate. Any depth finder will do the job. If you want the same quality as you have on the mother ship, you need to pay the same price. I have a medium quality DF on the flybridge. When I got a console equipped dinghy I wanted one that good for the dinghy. I found that manufacturer also sold a "second station" consisting of antenna, transducer and mounting hardware. Now I swap it back and forth between the two locations. $150 instead of $750. Living life at one quarter speed. 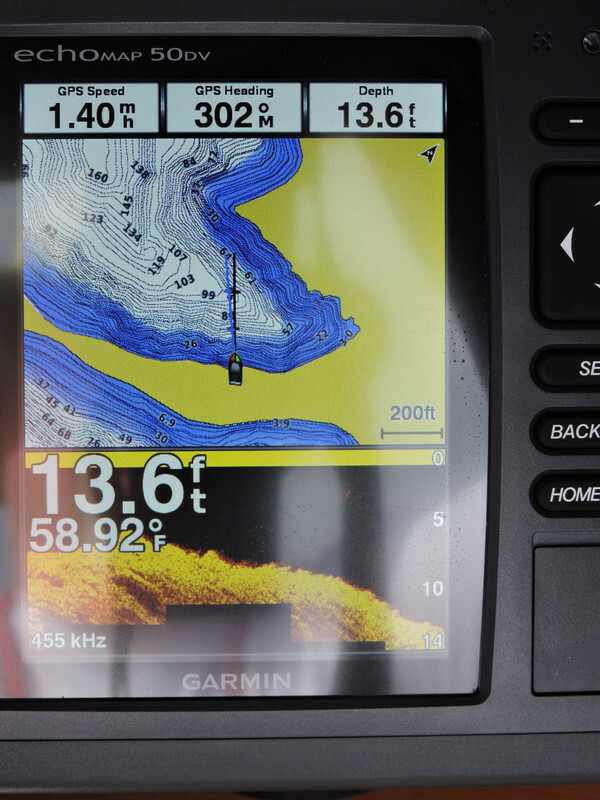 Good points, but an depth finder won't do. Need one with an internal battery as there is no power on the dinghy. Price is not a huge option, but there should be plenty in the ~$200 or less range. When I used to fish out of my inflatable I used a hummingbird fish finder powered from a jump start battery pack. I would just recharge the pack from time to time. I highly recommend the battery packs made by the Solar company. Have had the batteries in these last about 7 years. I bought a cheaper one from another company and it only lasted 6 months. I also used the solar pack to run a small livewell pump on that inflatable. May I suggest going to Walmart? In the battery area, on the wall closest to boating (Bay Pines Walmart) they sell Lithium batteries. The small one I received for my birthday a couple years back has alligator clips that could easily power a "real" depth sounder. As this is totally portable and recharges fast, you might consider it. As a side note, I have used one of the handheld units years ago. The problem, then, was that in order to get a reading I had to push a button, then read the number. (IT did not give off continuous depths -- just one at a time as I pushed the button.) Perhaps the newer ones are better so you might want to check. I have the SP300 ($180 US) which includes a battery. It displays on your phone using a free app. It will also work with the Navionics phone app to record a sonar log or update the sonar chart in realtime. Raymarine makes a new ice fishing kit that makes the dragonfly sounder battery powered, rechargeable, and portable. Pretty nice. I've been considering one of these. 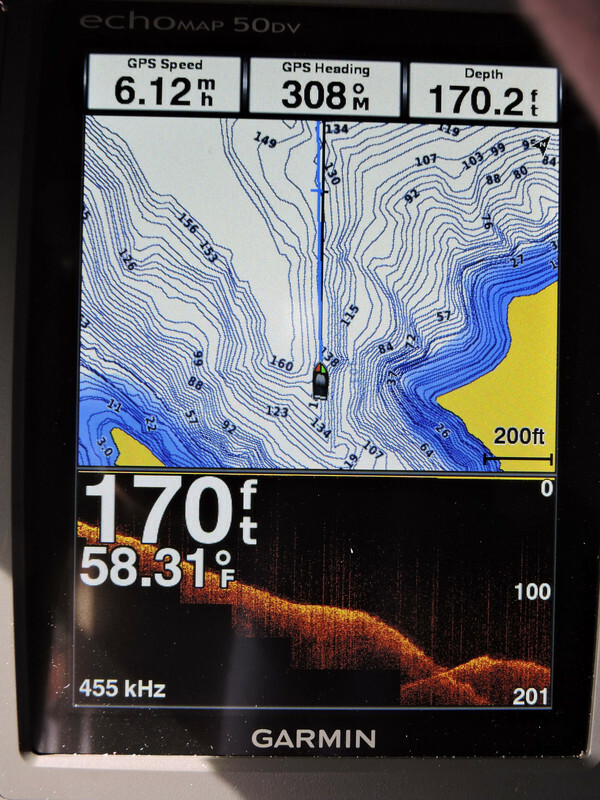 I use a Humminbird portable fish finder. Has a rechargeable built in battery. Suction cup mount for the xducer. "I've been considering one of these." I have a RIB with an electric start & Tilt so I mounted a Lowrance Fish Finder Hook2 on a Fish Finder mount. The battery is the starter battery in the center console! The transducer & the Finder are quick disconnected for lockable storage. I bought something like this 15 or so years ago. With the intention of mapping u/w cave passages. There is a model that is VERY waterproof. FF: I've never met a shark I didn't like. OTOH: there was this grouper that attacked me once and drew blood. Seevee, looks like the Solar Company is emphasizing the Booster Pac name. Here is a link to Amazon. Others have it too like Northern tool. I bought my first one at the local auto parts store possibly a Napa. I keep one of these at work to jumps start employee cars when they kill their batteries from leaving lights on and such. The first one went seven years before I could notice any significant degradation in performance. I went through a number of the older Hawkeye handhelds, they worked great when they worked, but I had a high failure rate, I went through several units, one was DOA out of the box. They replaced them under warranty but returns and re-shipping was a logistical pain cruising full time. The last failure (#5??) was in warranty, but I contacted them and told them it was going in the dumpster since I was weary of the warranty dance. The new one shown in another post is completely different, perhaps it will hold up better. I've now moved to the Vexilar, quite a bit more expensive, and no temp reading, but high ratings. It has been problem free for a year & a half. It lives under the seat in the dink. Just no place I could figure to mount one permanently, that would be my choice. I can't see monkeying around with one that requires a phone interface, just too much to fuss with, and adds the need to have the phone. Lots of times we just hop in & go, the hand held is there under the seat if we need it, plus we can use it in other boats or the kayak. That Vexilar sure looks good. Very easy to use, totally portable so I can use in kayak too. And simple. Anything else would be more complicated. As for Hawkeye.... I got a real problems with them. Bought an inexpensive unit from them with a thru hull transducer and panel display. (about $200). Didn't work. Their tech support would ONLY email me and wouldn't pick up the phone. After replacing TWO transducers and TWO displays and fighting with their poor support, I packed it up, sent it back to Amazon and got a full refund. Never again with Hawkeye. I had a Hawk Eye as well. Worked good the first couple times I used it but I made the mistake of leaving the batteries in over the summer. It broke in three places that it should not have. Finding the receipt showed it out of warranty by a couple weeks and the wording of the warranty left no doubt that I would be wasting my time trying to persue a replacement. Trash. Carry 5 ft piece of 1/2” pvc in the dinghy now. 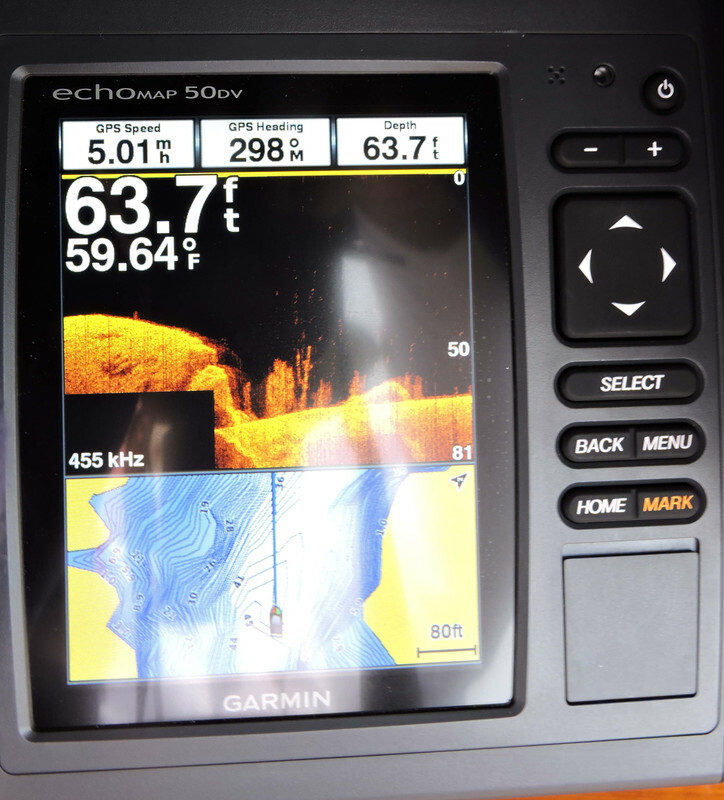 If you end up going with a booster pack like Duvie linked to, consider a Garmin Down-Vu depth finder and GPS. I have two of them, mounted on both of my Whalers and like both of them. Here are some pics of the screen. You can show the bottom contours either in the top part of the screen or the bottom. The detail it shows is amazing.